Your generous donations fund scholarship that provide critical support for students who have the ability and aptitude who need resources to help them reach their goals and aspirations. When you give – no matter what amount – you make a difference for a student, their families and this community. 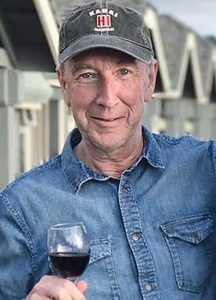 A memorial scholarship has been established in honor of Tom Drumheller, CEO of Escape Lodging in Cannon Beach. Tom attended Washington State University and was recently inducted into the Carson College Business Hall of Fame at WSU. Memorial contributions may be made to the Tom Drumheller Memorial Scholarship at WSU Hospitality Department. Donate here. WSU Tri-Cities is your university — whether that is literally the case because you are an alumnus or simply because we impact your community and the world. WSU Tri-Cities is an institution that educates your children at the university level, prepares a highly skilled workforce for employers, researches issues affecting local businesses and global needs and participates fully in economic development efforts. You know that your gifts to WSU Tri-Cities will make a real difference. Like every other university in the country, Washington State University Tri-Cities needs private, philanthropic support — your support. State funds alone cannot provide the resources required to achieve the vision of an even greater education for our students. We encourage you to help us to prepare graduates who are industry ready for employment and competitive on a global scale, who will become contributing members of society and make the world a better place. Your gifts to WSU Tri-Cities remain here on this campus. We will use all the resources at hand to become recognized as a destination campus, valued for the depth and breadth of our academic quality, preferred for personalized education and smaller class sizes, known for our availability of scholarship assistance, and selected for accessibility of meaningful internship opportunities. We know that every gift has a unique story behind it. We’d love to hear yours. like to support with your gift! The principal of this fund shall be used to provide emergency financial support for students in hardships. The principal of this fund shall be used to provide support for the Chancellor’s office at WSU Tri-Cities and any emerging campus priorities or scholarships awarded at the discretion of the Chancellor. The principal of this fund shall be used to provide support for the overall engineering program at WSU Tri-Cities. It is the intent that this fund will be a vehicle by which multiple donors can contribute, as they support the growth of the engineering program at WSU Tri-Cities. The principal of this fund shall be used to provide support for the overall College of Sciences program at WSU Tri-Cities. It is the intent that this fund will be a vehicle by which multiple donors can contribute, as they support the growth of this program at WSU Tri-Cities. The principal of this fund shall be used to provide funds for enhancing student engagement through the promotion of club sports, arts on-campus, and any other activity deemed to fit the goal of creating an on-campus atmosphere of dynamic student engagement at WSU Tri-Cities. Earnings from this fund provide discretionary monies to be used for the benefit of the Washington State University Tri-Cities branch campus. The principal of this fund shall be used to provide student scholarships and support for the overall Scholarship Awards program at WSU Tri-Cities, including scholarship promotion, award recognition, and the Annual Scholarship event. It is the intent that this fund will be a vehicle by which multiple donors can contribute. The principal of this fund shall be used to provide support for the Bioproducts, Sciences, and Engineering Laboratory (BSEL) at WSU Tri-Cities, which includes research, faculty support, and graduate studies. It is the intent that this fund will be a vehicle by which multiple donors can contribute. The principal of this fund shall be used to provide support for the Environmental Engineering program at WSU Tri-Cities. It is the intent that this fund will be a vehicle by which multiple donors, alumni and community friends can contribute, as they support the growth of the Environmental Engineering program at WSU Tri-Cities. 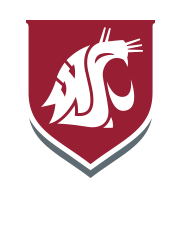 The principal of this fund shall be used to support early outreach activities fo the GEAR UP (Gaining Early Awareness and Readiness for Undergraduate Programs) at WSU Tri-Cities. GEAR UP nurtures college interest in K-12 students in rural and underserved communities throught the entire Mid-Columbia region. It is the intent that this fund will be a vehicle by which multiple donors can contribute. The principal of this fund shall be used to provide support for the overall Business program at WSU Tri-Cities. 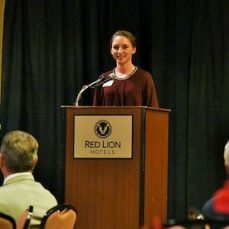 It is the intent that this fund will be a vehicle by which multiple donors, alumni and community friends can contribute, as they support the growth of the Business program at WSU Tri-Cities. The principal of this fund shall be used to provide support for the overall Engineering program at WSU Tri-Cities. It is the intent that this fund will be a vehicle by which multiple donors, alumni and community friends can contribute, as they support the growth of the Engineering program at WSU Tri-Cities. The principal of this fund shall be used to provide support for the overall Education program at WSU Tri-Cities. 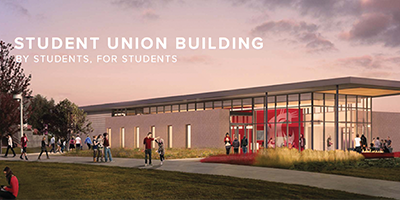 It is the intent that this fund will be a vehicle by which multiple donors, alumni and community friends can contribute, as they support the growth of the Education program at WSU Tri-Cities. The principal of this fund shall be used to provide support for the overall Nursing program at WSU Tri-Cities. It is the intent that this fund will be a vehicle by which multiple donors, alumni and community friends can contribute, as they support the growth of the Nursing program at WSU Tri-Cities. The principal of this fund shall be used to provide support for any activities and programs offered under the College of Agricultural, Human, and Natural Resource Sciences (CAHNRS) at WSU Tri-Cities. It is the intent that this fund will be a vehicle by which multiple donors, alumni and community friends can contribute, as they support the growth of the CAHNRS program at WSU Tri-Cities. The principal of this fund shall be used to provide support for the Civil Engineering program at WSU Tri-Cities. It is the intent that this fund will be a vehicle by which multiple donors, alumni and community friends can contribute, as they support the growth of the Civil Engineering program at WSU Tri-Cities. The principal of this fund shall be used to provide support purchase of lab equipment and supplies which will maintain or enhance instruction in any Electrical Engineering laboratory course at WSU Tri-Cities. This could include but is not limited to electronic component, test equipment, computers and software, and paying part-time students to maintain the lab infrastructure. The principal of this fund shall be used to provide supportfor the hiring of Faculty fellows to build signature programs at WSU Tri-Cities, as identified by the Chancellor. Funds may cover salary and benefits and any related expenses that support faculty responsibilities. It is the intent that this fund will be a vehicle to which multiple donors can contribute. The principal of this fund shall be used to provide support for the overall Liberal Arts program at WSU Tri-Cities. It is the intent that this fund will be a vehicle by which multiple donors, alumni and community friends can contribute, as they support the growth of the Liberal Arts program at WSU Tri-Cities. The principal of this fund shall be used to provide support for the Mechanical Engineering program at WSU Tri-Cities. It is the intent that this fund will be a vehicle by which multiple donors, alumni and community friends can contribute, as they support the growth of the Mechanical Engineering program at WSU Tri-Cities. The principal of this fund shall be used to provide support for the overall College of Sciences program at WSU Tri-Cities. It is the intent that this fund will be a vehicle by which multiple donors, alumni and community friends can contribute, as they support the growth of the College of Sciences program at WSU Tri-Cities. The principal of this fund shall be used to provide support for activities and programs of the Student Affairs Department, in their provision of student services that support student success, including but not limited to, such services as counseling, advising, mentoring, tutoring, specialists, staff professional development, and any other services deemed appropriate. It is the intent that this fund will be a vehicle by which multiple donors, alumni and community friends can contribute, as they support the growth of WSU Tri-Cities and the success of its students. This fund is established for support of Associated Students of WSU Tri-Cities. Funds may be used for all WSU “common expenditure objects,” subject to the limitation that they be used in the performance of official duties for purposes which advance the mission of the University. This fund is established for support of operations and development of the Max E. Benitz Library at WSU Tri-Cities. The principal of this fund shall be used to support the development, acquisition and preservation of Hanford Oral History Colletions to be permanently housed at the Max E. Benitz Memorial Library at WSU Tri-Cities. The principal of this fund shall be used to support WSU Tri-Cities’ mission of promoting, preserving and interpreting Hanford’s historical legacies. It will help us sponsor scholarship on Hanford, fund graduate and undergraduate research, engage in outreach, and support internship opportunities among other things. 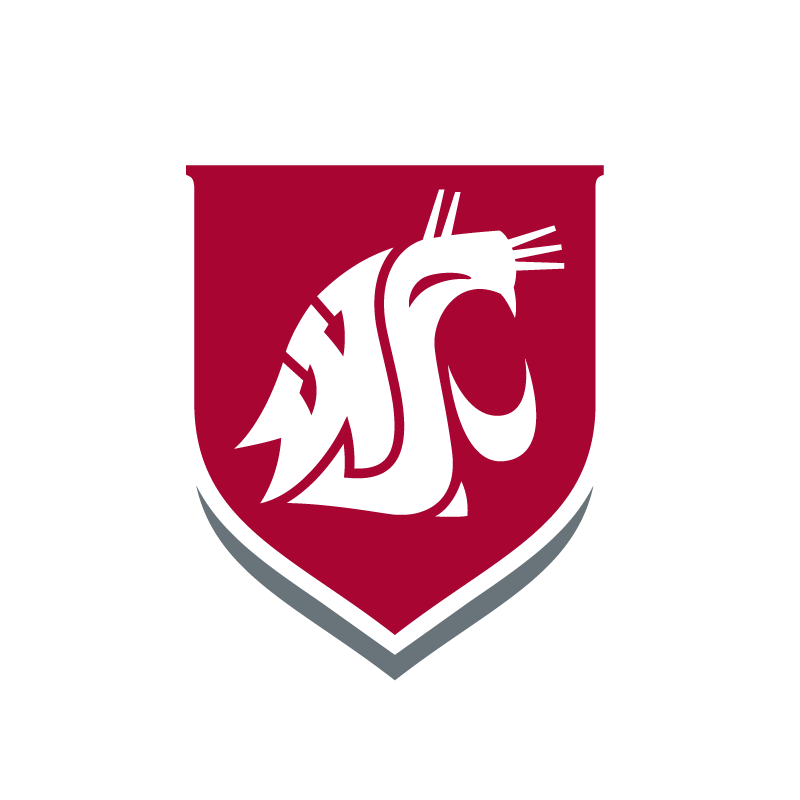 The principal of this fund shall be used to provide support for programs, activities and events that further the engagement of alumni, community members and donors in support of the growth of WSU Tri-Cities. The principal of this fund shall be used to provide support for artistic and cultural events (and their related facilities) sponsored in full or in part by WSU Tri-Cities. This includes, but is not limited to, exhibitions, performances, lectures and other fine arts and cultural programming. The principal of this fund shall be used to support students from, among other backgrounds, first generation families; those who are the first in their family to attend college and/or whose educational experience would be at risk, where it not for this financial support. The principal of this fund shall be used to support the professional development of the faculty and scientists of the United States Transuranium & Uranium Registries (USTUR). For more information please contact Sergei Tolmachev, Director USTUR (509-946-6870; stolmachev@wsu.edu). Leave your legacy. Buy a brick at the WSU Tri-Cities Student Union Building. Don’t see the fund you are looking for?